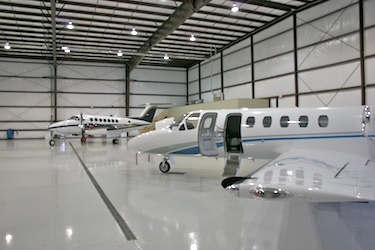 The Aircraft manufacturing and maintenance industry requires the most resilient and demanding of resin floor surfaces. Epoxy Resin and Polyurethane flooring systems are particularly suitable for aviation and aerospace environments such as Aircraft Hangars, Airport Baggage Halls, Plant Rooms, Laboratories, Aerospace Component Manufacturers and many other applications where a hard-wearing, attractive floor finish is required. Depending on the particular environment, both the epoxy resin and polyurethane systems are available with properties such as anti-slip and enhanced chemical resistance where necessary in the event of likely spillages and contamination from Skydrol, Hyjet and other aviation hydraulic fluids and fuels.